Upon arrival in Seto, a city in Aichi Prefecture, amid lush greenery and the crystal clear river that flows through the center of the city, one is bound to encounter numerous studios and galleries, walls made of and decorated with beautiful ceramics, as well as an oddly large number of people with the surname “Kato.” All of these characteristics are directly related to this small region’s history of making Seto ware—the unique ceramics for which the area is famous—which spans over 1,000 years and can be found practically on every corner. The origin of Seto ware is attributed to Kato Shirozaemon, who is said to have built a kiln in the area in 1242 after learning pottery in Southern China. He was quick to realize that Seto was blessed with soil and an environment optimal for pottery-making. As his business grew, peers followed into the ceramic industry, and Seto became a distinguished center for ceramic production in Japan. 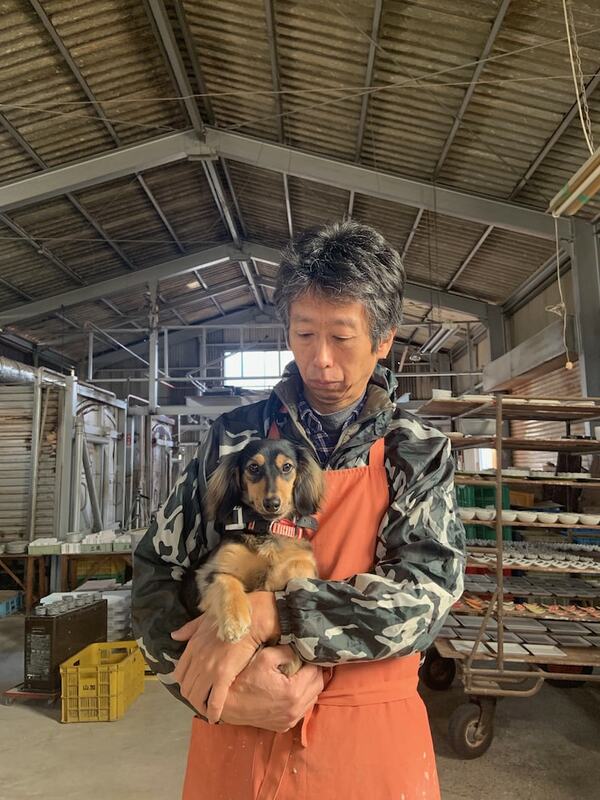 According to a local craftsman, many of his friends’ households run pottery businesses, and have the same surname as the father of Seto ware. So when he stepped out of Seto for the first time, he was surprised to learn that the environment in which he was raised was unlike any other place in Japan. Seto ware craftsmen take pride in their ability to create a variety of items. From tableware to fine ceramics and novelties, you name it, they can make it. 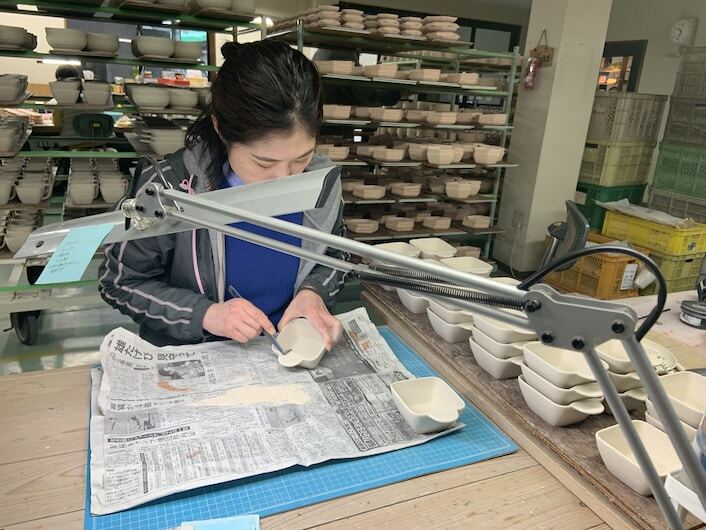 In fact, one can find almost all types of ceramic ware produced in Japan in the small city of Seto, unlike other regions, which tend to specialize in a certain type of ceramics. Creation of such diverse items is only possible because of Seto’s rich environment. Underneath the mountains of the area lies a valuable treasure: soil abundant in high-quality clay that has considerable viscosity and plasticity, which allows craftsmen to mold it into almost any shape. Additionally, ceramic pieces created with Seto clay turn white when fired, which creates beautifully colored glazes that are unique to each item. Seto clay is also quite resilient to heat, which prevents items from cracking when fired in the kiln. Craftsmen in Seto have passed their knowledge on from generation to generation, which has allowed for surprising diversity in the field. 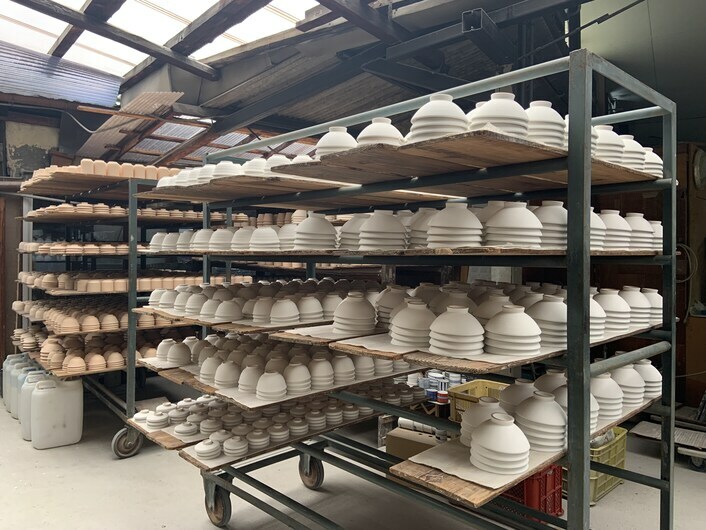 Many ceramic companies in Seto are Original Equipment Manufacturers (OEM), which means that they produce parts or equipment for marketing and use by other companies. With an abundance of materials and generations of traditional knowledge and expertise, craftsmen in Seto have learned to respond to various needs of distinct companies, and are able to produce a wide variety of ceramic products from teapots, tableware, figures, vases and more. Unfortunately, the ceramic industry has declined by about 60% in the past 10 years, and many companies are struggling to survive. In response, some of the ceramic businesses in Seto are taking an innovative route—by focusing on the needs of their customers rather than simply continuing their traditional ways, they are working to meet the demands of this modern age. Chikudouen is a company that focuses on creating tableware that “nurtures soft hands and a warm heart” for children. One of their best-sellers is a series called “SUCUU,” created so children can easily scoop out food from bowls, mugs and cups. Each item has a handle to grip, and the ends are angled perfectly for scooping. Plus, the bright colors make them even more appealing to children. 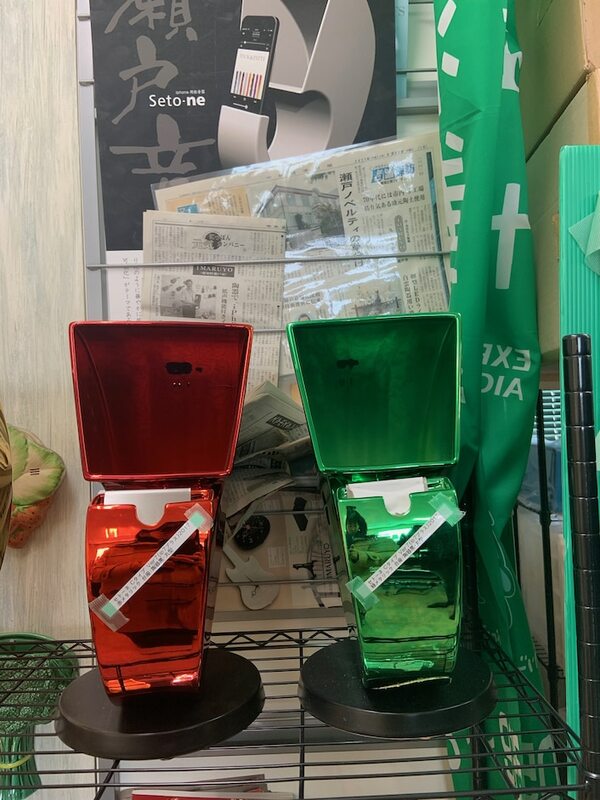 Chikudouen’s attention to detail and willingness to meet customer needs is an innovation that has distinguished them from many other companies, and helped them to gain customers from all over Japan. Another shining example is Kofutouen, a company that strives to create products that fit the lifestyle of their customers. They, too, have a tableware series for children, and complement their cute designs with custom inscriptions of customer names. If you ever have the time to visit them, you will be welcomed by the beloved and adorable puppy that roams their studio. Similarly, Souzyuen is a company that has also strived to meet the modern needs of its customers. Their main focus is creating durable, resilient bowls capable of withstanding wear and tear. These beautifully designed pieces are especially loved by hospitals and welfare facilities. Unlike the three companies mentioned above that make tableware, Imaruyo is a company that specializes in novelty items, such as porcelain figurines and dolls, characters, figurines, animals and more. Novelties created in Seto were exported overseas after World War II, and gained recognition and popularity for their intricate designs. The chairman of Imaruyo, Hiroyuki Ikeda, says he loves trying to create something new. They recently created “seto-ne,” an iPhone speaker that looks like a porcelain horn. It’s a beautiful and functional piece that blends modern needs with traditional crafting methods. 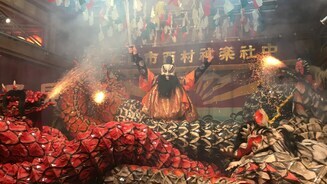 The craftsmen of Seto are constantly challenging themselves to create something that is both unique to their artistic vision, but distinct from the competition. 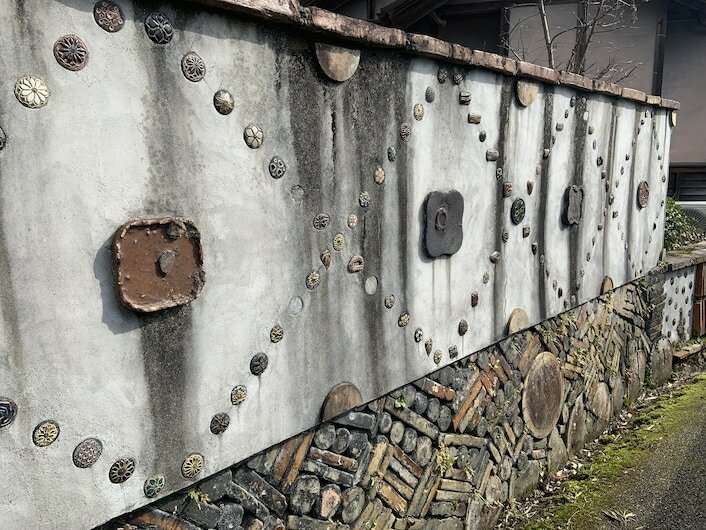 A visit to the area is sure to be filled with finds both old and new, items that tell the story of Seto’s rich crafting heritage and hint at what’s to come. 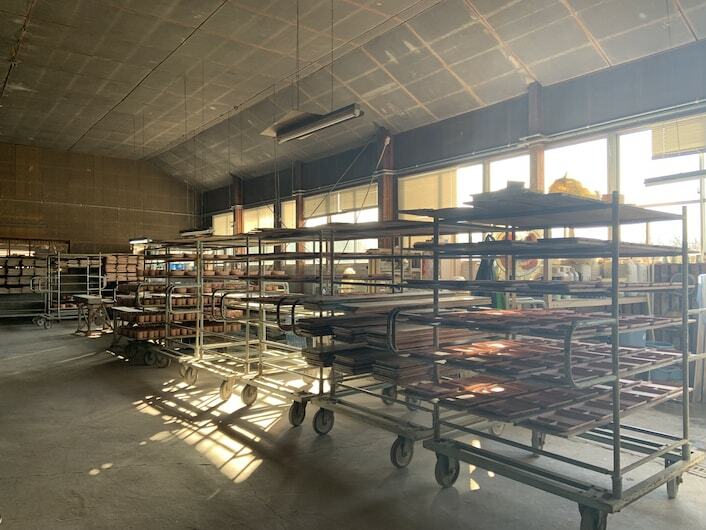 With masterful expertise birthed from generations of tradition, combined with a willingness to adapt and innovate, the future of Seto ware looks bright indeed.